I use to frequent a laundromat as a kid, only because they had a Metal Slug arcade game in the area that you would wait for your laundry to complete. They also had an original Mortal Kombat. Needless to say, it was the best laundromat in town in the eyes of a young kid. Tugging at that nostalgia is Metal Slug Infinity, a new title in the always popular Metal Slug franchise. While it’s great to see the characters you remember as a kid, like Marco and Tarma, Metal Slug Infinity isn’t quite like the games you used to play in the arcade. Infinity is an Idle RPG for mobile phones. That means instead of controlling your units yourself, all you’re really tasked with doing is leveling up your characters as they go on and fight their own battle against waves upon waves of baddies. It’s like a tower defense game, but instead of defending, you’re constantly on offense. If you’re into that gameplay, which can have its moments, you’ll be happy to know that the game does stay true to its predecessors in the music and SFX departments. According to the app’s description, “The original game’s sound and VFX have been faithfully recreated.” And I can vouch for that. It does sound and look like a Metal Slug game. The game is free to play, though, that does mean you’ll find in-app purchases available. 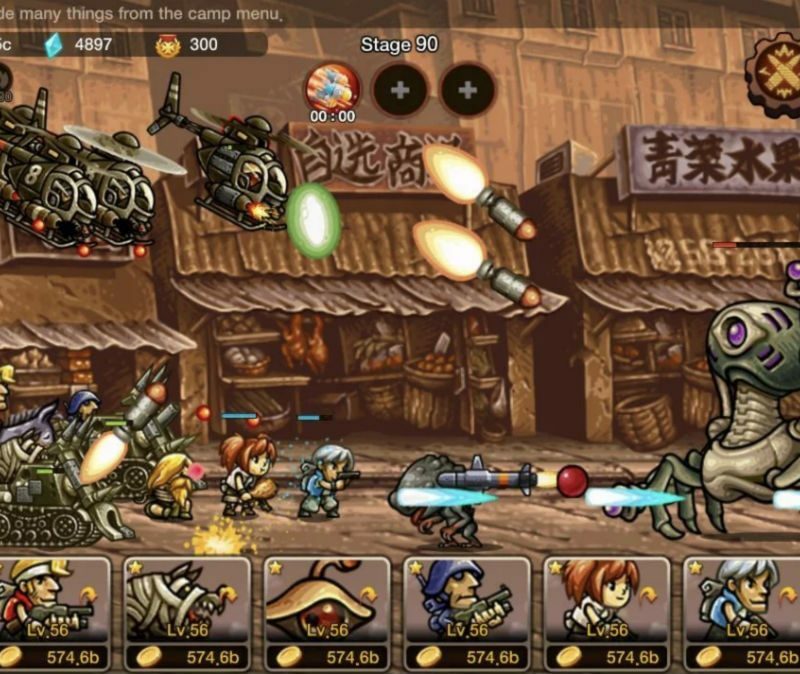 Follow the link below if an idle RPG Metal Slug sounds right for you.